The 2010 'Excellence in Acoustics Award' has been won by Joe Wolfe, Jer Ming Chen, Paul Dickens and John Smithof the Acoustics Laboratory in the School of Physics at UNSW. It was awarded for the measurement techniques in acoustics and their application to understanding the acoustics of wind instruments and of the people who play them. The prize is awarded by the Australian Acoustical Society and sponsored by CSR-Bradford. At this joint meeting of the ASA, EAA and SFA, PhD student Chen Jer Ming was awarded the first prize for Best Student Paper in Musical Acoustics for How to play the first bar of Rhapsody in Blue. The talk was also featured as a highlight lay language paper by the ASA’s world wide press room. In 2006, John Smith won a UNSW Vice-Chancellor's Award for Teaching Excellence. Joe Wolfe also won an award for teaching excellence from the Australian College of Educators. 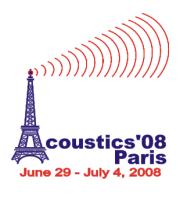 Joe Wolfe was presented with the Médaille Étrangère of the French Acoustical Society at its annual meeting in December 2004. The medal recognises work by an acoustician from a country other than France. Joe Wolfe was presented with an NSW Award for University Teaching for Physical Sciences and Engineering at a ceremony at Government House in Sydney in 2006. 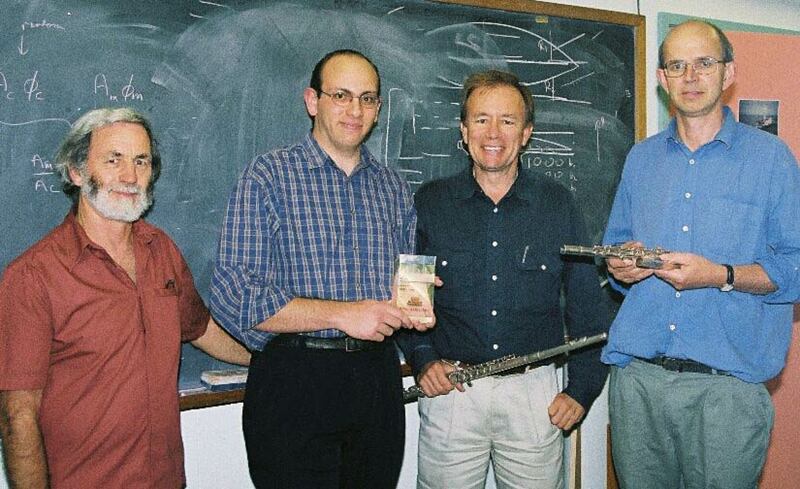 At the New South Wales Physics and Industry workshop in 2004, Paul Dickens, graduate student of Music Acoustics at UNSW, was one of two winners of the first prize for his poster "Modeling the acoustics of woodwind instruments: a new tool for makers." The inaugural 'Excellence in Acoustics Award' (2003) has been won by Andrew Botros, John Tann, John Smith and Joe Wolfe of the Acoustics Laboratory in the School of Physics at UNSW. It was awarded for the development of a technique of acoustic impedance spectroscopy with high precision, dynamic range and speed, for its application to the acoustics of the flute, and for development of an expert system that provides technical advice to musicians and composers. The prize is awarded by the Australian Acoustical Society and sponsored by CSR-Bradford. In November, 2003, the ASA awarded its Science Writing Award for Professionals in Acoustics for 2002 to Joe Wolfe for the multimedia essay Introduction to clarinet acoustics. Other web essays in this series include Introductions to brass acoustics, saxophone acoustics, and flute acoustics. Rob Fearn won the silver medal in the international Young Inventors Award 2002 for his research on improving pitch perception for cochlear implants. Andrew Botros is a recent Computer Engineering and Biomedical Engineering graduate from the University of New South Wales. His final year thesis in Music Acoustics won the 2002 national Siemens Prize for Innovation and The University Medal for his work on the Virtual Flute. Joe Wolfe has been awarded the UNSW Award for Teaching Excellence 2002. He joins John Smith so that 100% of the academic staff of the Music Acoustics group now has this award. The editors of Scientific American have chosen this Music Acoustics website as one of a select number of sites that they deem the most innovative, creative and valuable as a science and technology resource. The MERLOT Editorial Boards have selected this site to receive their highest award of honour, the 2005 Editors' Choice Award for exemplary online learning resources. The site has also been recommended by a range of other organisations, journals and web directories, including the Exploratorium, Physics Today (Feb, 2000), Science (Nov, 2001), the National Science Teachers Association (USA), the Australian Academy of Science, Librarians' Index to the Internet, Psigate etc.